Not too long ago, Columbia got our very first Trader Joe‘s and I’ve been smitten ever since! As a very indecisive gal, I really appreciate the simplicity of grocery shopping at Trader Joe’s – there are just enough choices so that you have one, but not enough to keep you stumped for 20 minutes deciding between brands of cheese. Another thing I love about TJ’s: they always have samples! These samples are more than just slivers of something pulled from a box. They’re usually unique combinations of TJ-original items that bring out the kind of flavor that sends you in search of the ingredients to replicate. Well, that happened to me and I had to share the recipe with you! This “salad” is great for packing in your lunchbox because it does okay at room temperature for a few hours (or you can get fancy and use a freezy pack, but as I’ve admitted in previous posts: this cook is lazy…and I usually run out of room in my lunch box for those!). Plus: it only require 3 ingredients! It’s so simple it’s hardly worth listing, but I’ll share the recipe nonetheless! 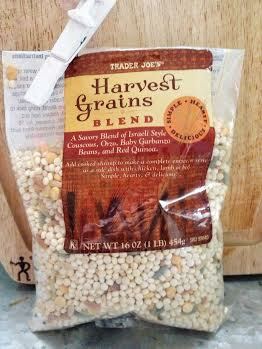 The blend includes Israeli couscous, orzo, baby garbanzo beans & red quinoa. In case you’re a visual person (like me! ), here’s what the bag looks like so you can find it easy at TJs! 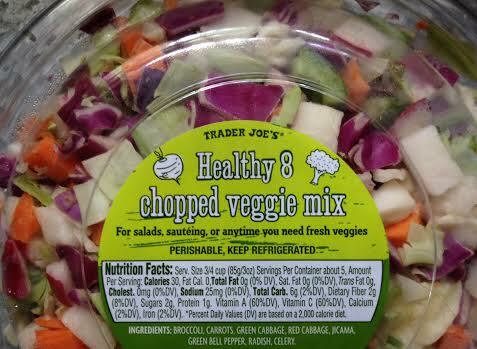 The veggie mix includes broccoli, carrots, green & red cabbage, jicama, green bell pepper, radish and celery. Cook half the bag of the Harvest Grains Blend with water according to the package. 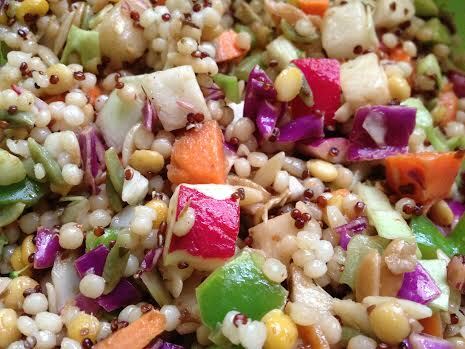 Once the grains are cooked, combine with the vegetable mix in a large bowl. Drizzle half the bottle of dressing over the grain and vegetable mix. Combine the ingredients until the dressing is evenly spread throughout the mixture. You can store the leftovers in the fridge for a few days and eat cold or at room temperature. 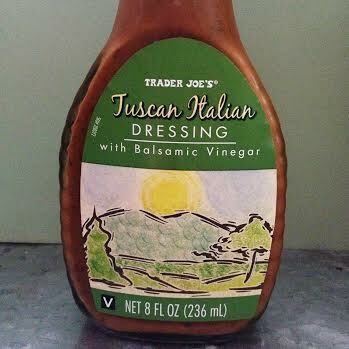 I used Trader Joe’s ingredients because it was convenient (and after all, it is their recipe! 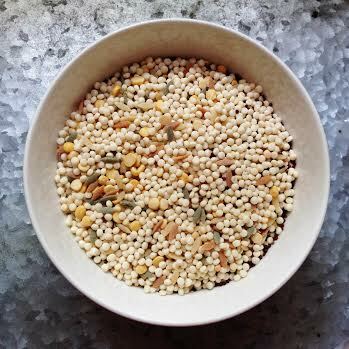 ), but you could adapt this recipe by using a different grain blend (or entirely Israeli couscous), chopping your own vegetables or using a similar chopped mix and a blend of Italian and Balsamic Vinegar dressing.